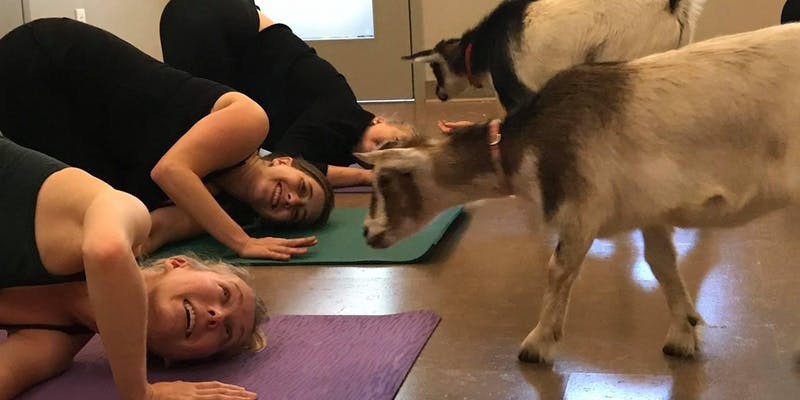 Goat Yoga is coming to Liberty! We will be hosting two pop up classes on Saturday, November 10th between 12:00 PM to 2:30 PM. Attendees can look forward to an hour of yoga practice followed by playtime with the baby goats. Heat lamps will be on hand to keep everyone toasty. WHERE: The Liberty Green — the former baseball field on the Liberty campus. Use 9380 Quadrangle St for your GPS and follow signs for The Liberty Green. Our instructor is Beth Wolfe and friendly goats will be visiting from Walnut Creek Farms.